Benefit from a rental income rather than wait for a buyer. What is an accidental landlord? Generally defined as those who have attempted to sell their property for some time without success so choose to rent the property and benefit from a rental income rather than wait for a buyer. If so, don’t panic we can help! We understand this can be stressful time for you as you may feel forced into the position but we can make it a positive outcome for you. 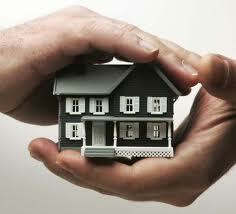 Generally these properties are the landlord’s own home and as such, they have completely different needs and wants. Most important to you is likely to be the type of tenant – you need a tenant who will look after your property, care for it as you would expect, so that when the time comes to sell you are not left with a large redecoration bill! Most accidental landlords are newcomers to lettings so you need to ensure you get professional advice on the rent level, type of tenancy agreement and the multitude of legislation which applies to renting out your property. We offer 3 different service levels for our landlords but we tend to find full management suits best.